If you already live in Oregon or are thinking of moving there, you should familiarize yourself with the Oregon Landlord Tenant Laws. The following information is provided by the American Apartment Owners Association as a guide to Landlord Tenant laws. You should always confirm with an attorney to verify the accuracy of any of this information and to ensure the Oregan Landlord Tenant Laws are up to date as they do change frequently. Stay up to date on Oregon Landlord Tenant Laws + Save money on tenant screening and other property management needs. Join AAOA today, it’s FREE! First of all, each tenant has the right to their privacy, despite the fact that the landlord owns the property. Tenants are personally responsible for repairing the things that they or their family damage. If they refuse to do this, the security deposit may be taken away. Rent should be paid on time and for the right amount each time it is due. The unit or apartment should be kept clean and free of clutter and trash in order to help eliminate the possibility of an infestation. Be sure to return the property the way it was found—do not make alterations to it without the permission of the landlord. Tenants must respect their neighbors and their landlord. If for any reason the tenant does something to harm another tenant, the landlord or his/her property, they can be evicted within 24 hours. This is one of the only times that only a day’s notice will be given. Landlords must respect their tenant’s privacy and must give at least a day’s notice for any entrances, including inspection or repair. The only exception to this is in the case of an emergency repair that could otherwise be dangerous. The landlord is required to keep the units kept up nicely and in safe order. They are responsible for keeping up the heating, plumbing and hot water and making sure that all of those amenities stay in working and safe order. All landlords should abide by their state and federal laws, including health and safety codes. Landlords must be open in communication with their tenants and make their contact information available for each one. Landlords are required to make all repairs of general wear and tear and should do it in a timely manner. They are also required to provide smoke alarms as well as easily accessible fire escapes in the case of some unforeseen emergency. If landlords are required to pay the utilities they must do so on time and should not allow the utilities to be shut off. Anything that interferes with the well-being of their tenants is prohibited. Lease and Rent Information Leases can be both verbal and written. They are both common and usually depend on the type of lease as to which one is chosen. Oral agreements cannot hold up in a court of law, so if there is any concern of the morality of either party, a verbal agreement should not be used. They are most often used for weekly or monthly rentals with no lease obligation. The length of the rental period and the dates of it. Both party’s names and contact info. Information regarding the rent amount and when it is due. Policies about lateness of rent and other fees that could potentially be charged. The expectations and responsibilities of both party’s. Information outlining the security deposits. Regulations on the shared spaces of the unit. Landlords may not discriminate against any potential tenants on the basis of the The Federal Fair Housing Act. This includes every type of discrimination and could be anything from gender to race, from age to religion. Landlords may not refuse to give tenancy or change their policies for specific individuals on any basis as they relate to discrimination. Complaints can be filed with the U.S. Department of Housing and Urban Development if an individual feels they are being discriminated against on the basis of a tenancy. Security Deposit and Other Fee Information It is almost unheard of for landlords to not require some type of fee or deposit in some form or another. There are many different types of fees and deposits so learning the ins and outs is important. Security deposits are deposits that almost every tenant must pay up front. This deposit is designed to protect the landlord from any fraudulent activity in regards to damages or lack of rent paid. This deposit is returned at the end of the tenant’s stay at the residence so long as the tenant has paid all rent in a proper amount of time and has not damaged the premises outside of normal wear and tear. In Oregon, there is no limit to the amount that the security deposit can be, but if it is an outlandish amount, discriminatory charges can be looked into. It is important to examine the premises thoroughly beforehand and make detailed notes and photographs about the unit. This can keep the tenant from being charged for something they did not damage. Security deposits may be higher depending on if the tenant has a pet or not. After the tenancy is over, the landlord has thirty one days to return the deposit in full or report in writing why some of it was kept and what it was used for. When a security deposit is wrongly used, tenants can file lawsuit against that landlord for at least twice the amount of the security deposit. Abandonment fees are fees that are put in place if the tenant leaves their tenancy before the end of their lease and without any notification. This fee is waived for certain circumstances such as domestic violence. Late fees may be charged if rent is turned in later than the specified due time. Screening fees are charged during the Oregon tenant screening process. A hold payment or fee may be charged at the beginning of the tenancy to hold a slot for the potential renter. Pet fees, parking fees and laundry fees are all miscellaneous things that could potentially be charged depending on the landlord. Information Regarding Eviction Eviction is a process that not a lot of tenants really know about and sometimes choose to avoid due to its negative nature. It is important to be educated about these processes in case it ever has to be experienced. Knowing about eviction can alleviate the stress if and when it happens. First it is important to know that the process is the key to making sure eviction runs smoothly. At the beginning, the landlord must give the tenant a written notice of eviction. These notices must be given personally or by first class mail. For a case of nonpayment of the rent, a three-day grace period is given to pay off the debt before the eviction process begins. The landlord does not have to have a reason to evict their tenants; however a thirty day warning must be given for eviction without cause. The court process then begins after the eviction has been summoned and the tenant still refuses to leave. Its main purpose is to see if the tenant has any legal right to stay living in the unit. Once a tenant has been served the court summons, they will appear before court and make their claim. Once judgment has been decided, if the court votes in favor of the landlord, the tenant will be given twenty-four hours to move. Landlords cannot evict their tenants for asking to have repairs done or by being in accordance with any other part of the landlord tenant laws. Physical eviction cannot take place except at the very last moment and it can only be done by law enforcement with a warrant. Landlords may also not force a tenant to move by their own means. This includes shutting down the utilities or locking them out of the unit. Do you currently have rental property in the state of Oregon? If so, you should be running proper screenings on any potential tenants. Check out AAOA’s Oregon Tenant Screening Background Checks to get more information. All states require a variety of forms to rent an apartment to a tenant and Oregon is no exception. Check out American Apartment Owners Association’s Oregon Landlord Forms now. Looking for landlord tenant laws outside of Oregon? The American Apartment Owners Association offers helpful landlord tenant laws for all 50 states. Click on any of the states listed below and go directly to its landlord tenant law page. To visit the homepage of landlord tenant laws, click here. 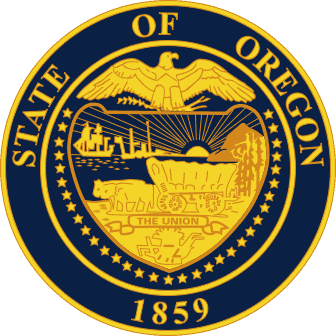 If You Need More Information To access more information about the Oregon landlord tenant laws, visit the Oregon Landlord and Tenant Bill. To get greater detailed info, check out Oregon Law Help or the Oregon State Bar. For Oregon landlord tenant laws and info as well as the Federal Fair Housing Act go to the HUD U.S. Department of Housing and Urban Development.